The first load of Fly Ash reached Pandu Port in Assam successfully transporting Fly Ash from NTPC Kahalgaon in Bihar. The first load of Fly Ash reached Pandu Port in Assam successfully transporting Fly Ash from NTPC Kahalgaon in Bihar. NTPC along with team of Inland Waterways Authority of India (IWAI), Ministry of Shipping agreed on the transportation of Fly Ash through Inland Waterways to North East state to be used by Star Cement Limited in cement manufacturing. This endeavour will also establish the water highway route from Kahalgaon to Pandu in Assam via Bangladesh border helping transportation of other goods also. 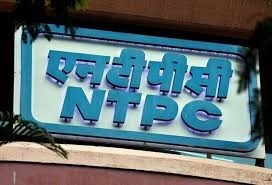 NTPC, thus, supports new initiative of water highways towards nation’s growth as well. About 1235 tonne of Fly Ash was loaded at NTPC Kahalgaon and was transported to Pandu Port via Kolkata through National Waterways one and two via IBP (Indo Bangla) rout. Sustainable Fly Ash utilisation is one of the key initiative at NTPC. There is a huge demand for Fly Ash but due to the limitation of transporting it through only railway system, not enough can be utilised. This successful operation will help to enhance and give impetus to the Fly Ash utilisation.